Creating origami models from dollar bills is an activity many paper folders find particularly enjoyable and challenging. 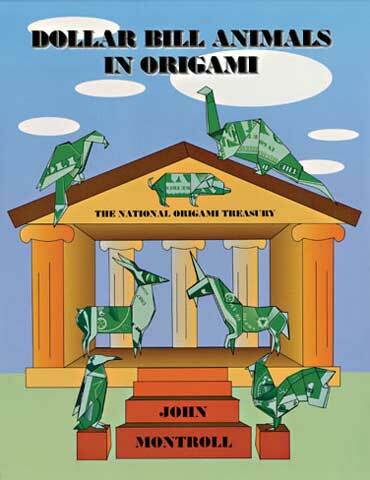 In his new book John Montroll explains how to create more than 30 origami models from dollar bills. Step-by-step instructions and clear diagrams show paper folders at all levels of expertise how to fashion everything from common objects to plants, birds, and other animals. Beginners will enjoy making a boat and a butterfly. Windmills and peacocks will suit the skills of intermediate-level hobbyists, while an alligator, a llama, and a bison should prove to be no problem for advanced paper folders.